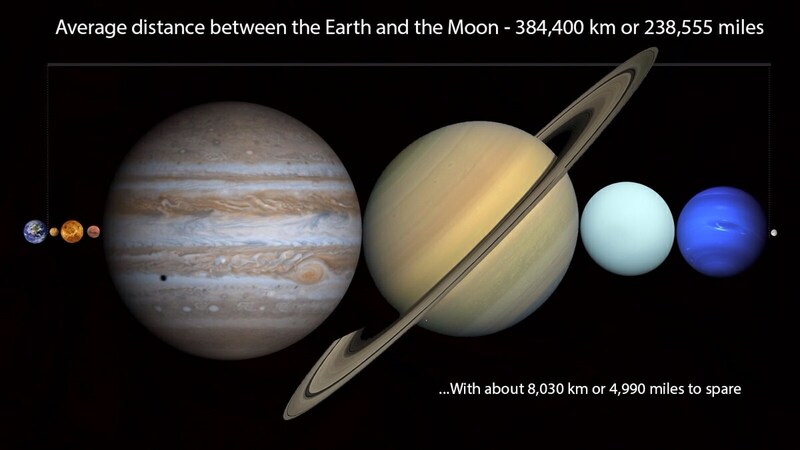 I ran into this intriguing infographic over on Reddit that claimed that you could fit all the planets of the Solar System within the average distance between the Earth and the Moon. I’d honestly never heard this stat before, and it’s pretty amazing how well they tightly fit together. But I thought it would be a good idea to doublecheck the math, just to be absolutely certain. I pulled my numbers from NASA’s Solar System Fact Sheets, and they’re a little different from the original infographic, but close enough that the comparison is still valid. The average distance from the Earth to the Moon is 384,400 km. And check it out, that leaves us with 4,392 km to spare. So what could we do with the rest of that distance? Well, we could obviously fit Pluto into that slot. It’s around 2,300 km across. Which leaves us about 2,092 km to play with. We could fit one more dwarf planet in there (not Eris though, too big). The amazing Wolfram-Alpha can make this calculation for you automatically: total diameter of the planets. Although, this includes the diameter of Earth too. A nod to CapnTrip on Reddit for posting this. 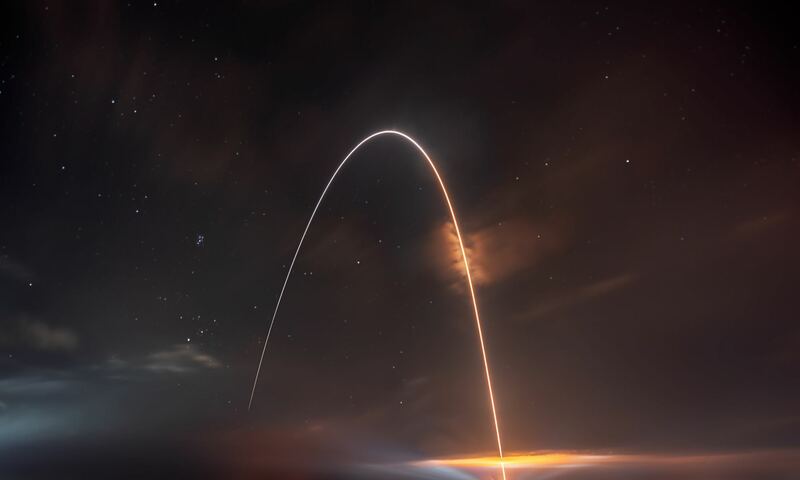 That leave about 500km between each planet if one is to line them up between the earth and the moon. That is like an afternoon drive. It’s an amazingly close fit. So I’m getting different numbers. Average distance from surface of Earth to the surface of the Moon 384400 Km. So 384400-4879=379521. So, the final subtraction shows that there is not enough room between Earth and the Moon. Even with the surfaces of each planet touching. I did some fact checking before posting. Yes, some numbers are different, both links are from NASA, both are recent publishings, but the Curators are different. My link come directly from the curator of the NASA Goddard Space Flight Center. While the OP link comes from the NASA website. It looks like the Goddard link uses maximum diameter (at the equator). I found an old universe today link which mentions the differences in pole to pole and equator diameters of some of the planets. I knew some of them were extreme (Saturn), so that raises a question of how the planets would have to be tilted and arranged to fit between the Earth and Moon. I don’t think you could have them lined up equator to equator. proknoi, you included Pluto. Your outcome without Pluto still exceeds the total average distance. However, the planet estimated diameter varies from source to source. So, it is still plausible the planets of our solar system will fit snuggly between our Moon and the Earth. That…. just blew my mind! Excellent infographic, Fraser. And great to see you post a story. That’s become rare with all you other pots a bubblin’! Cheers! Thanks for the amazing Wolfram-Alpha tip. A great site! Cool, but did you include the radius of the earth and the moon.